The time has come to finally release the Super kit we've all been working on for the last couple of weeks. Being on different schedules has been a factor but we got our act together. This first part of the download is two fabulous alphas by our wonderful Butterfly Flutterby. Please run on over to The Padded Cell Blog and download immediately. 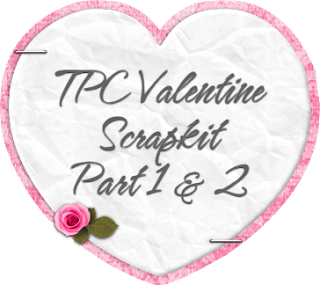 New tutorial by MayK, using my One Bettie scrap kit. Thanks so much MayK, it's lovely. Click HERE to do tutorial. Wanted to share some tutorials written by AquaRebel using some of my templates, word art and masks. Thank you so much Aqua, your tags and tuts are just awesome. 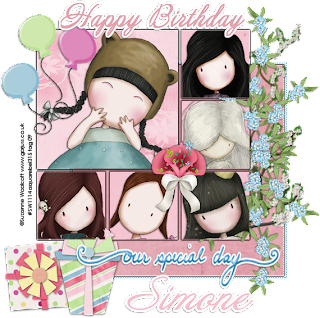 My masks, templates and word art can be found on my tutorial site, here. 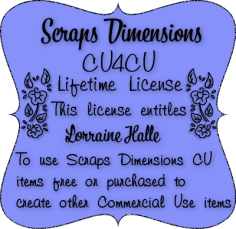 This tutorial uses another of my templates. The tut can be found HERE. And this lovely creation, uses one of my masks. Beautiful tag Aqua! Tutorial is HERE. and this last tag uses one of my word art. Tutorial is HERE. Happy day everyone, hope all is well. My cellmates and me have opened a new blog which will feature all our collaborations. 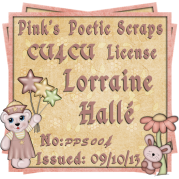 We do a lot of extras in our Forum group The Padded Cell, such as template challenges, font challenge, color scheme challenge, word art challenge and of course the weekely tutorials are up for your to try out. We thought it was a good idea to share what's going on at The Padded Cell outside the group, so more of you can come by and play with us. You can check out the new blog HERE and visit the Forum HERE. Ohhhhh and check back here or The Padded Cell blog because we have a fabulous collaboration coming up. It's all about love, lol. There will be lots and lots for you to get yours hands on and play with. Lexipup also decided to gift me with this beautiful award, thank you so much sweetie, it's fabulous. 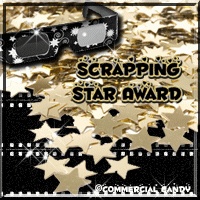 Now I need to pass it along to five people that I think are Scrapping Stars! 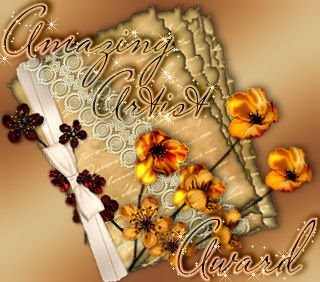 Jill decided to gift me with an amazing award as well, thank you soooooo much Jill, I really love it. This is the Amazing Artist Award. Wow, I feel honored. Now to choose 5 deserving candidates. Well that won't be difficult as I know these ladies are wonderfully talented artists. Ok I snuck in a sixth one, I just had too, lol.